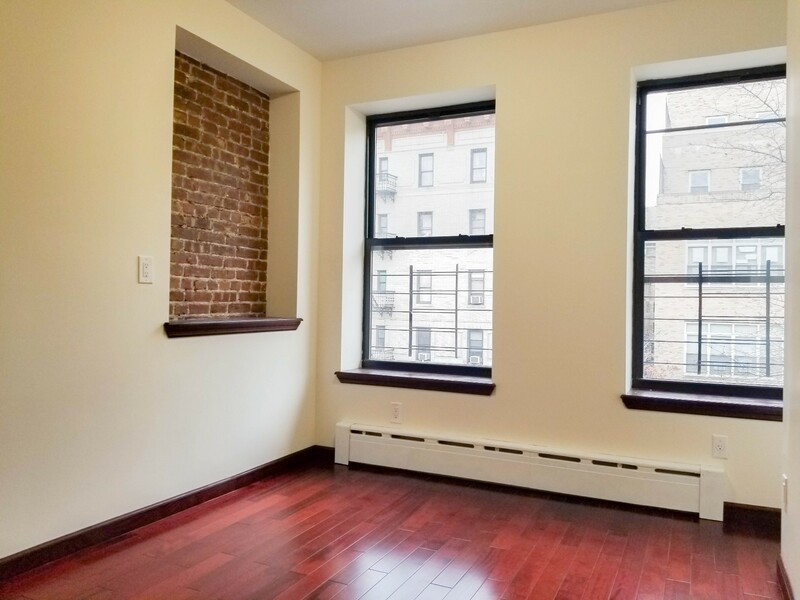 Located in the vibrant neighborhood of the Washington Heights you'll find this newly finished apartment! A cozy two bedroom that has been fully renovated and ready for its first tenants. Finished with brand new stainless steel appliances, beautiful cherry wood floors, a skylight and a beautifully finished bath this home will satisfy everything you're looking for! The master bedroom is spacious and allows a great abundance of natural light, this home also offers great closet space. Its second bedroom is also spacious with an abundance of natural light! You'll be a short walk to the subway, literally just 3 blocks away to the 190th Street 1 train station and multiple bus stops. There's easy access to New Jersey through the George Washington Bridge as well!